SCAMPPS in Surrey is committed to protecting your privacy. We aim to ensure that all information you give to us is held securely and is only used in a manner that you have consented to or would expect. This data protection notice applies to SCAMPPS in Surrey (registered address: PO Box 503, Epsom, KT17 9DE) – the data controller, with regards to the personal data you have disclosed to us. A data controller is the person or organisation who determines the purpose for which, and the way, any personal data is processed. The data controller is responsible for establishing practices and policies in line with the Regulations. This notice explains how we collect, store and use your personal data. The information in this notice is provided in accordance with the Data Protection Act 1998 and the Privacy and Electronic Communications (EC Directive) Regulations 2003 (PECR) and the General Data Protection Regulations (GDPR) which are effective from 25 May 2018.
how you heard about SCAMPPS. We will only collect data which is relevant to the purpose for which you have given it, and we will never pass it to a third party. The purpose of collecting personal data is to ensure you receive the materials, resources, services, and information you may have requested or expect, and which further the objects of SCAMPPS in Surrey as a charity. We may also use your personal data to keep you informed about our work if you have requested this or have not opted out of receiving such communications. Examples of such communications are our newsletter and other electronic communications. We may also ask you to financially support our work by sending you fundraising appeals and information about fundraising events. We may also use your data to process any donations you have given and any Gift Aid associated with that donation. All promotional and fundraising communications are classed as Direct Marketing. 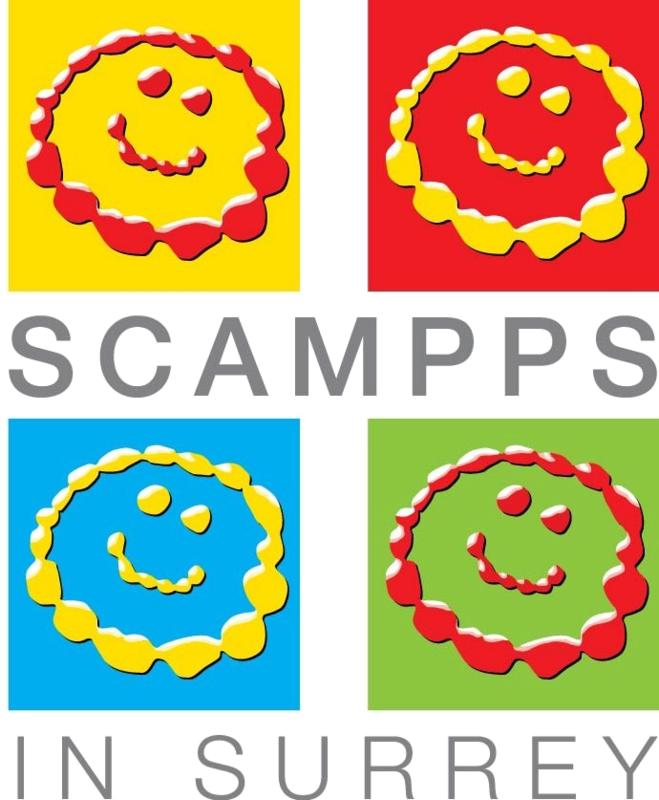 When you become a member of SCAMPPS in Surrey you became party to a contract with the charity and under the constitution we are obliged to retain records of you as a member and to send you notices of general meetings. You can only opt out of this by resigning your membership. We may contact you via email, telephone, post or SMS text. For membership issues our basis for contacting you is contract and for other communications, other than direct marketing, our basis is our legitimate interests in furthering our charitable purpose, or your consent where given. In considering whether we have a legitimate interest we will conduct a balancing exercise. This balancing exercise will include recent contact and history, any previous notification that we may send communications to you and, most importantly, whether you would reasonably expect to receive such information from us. We will not contact you by any electronic means (phone, SMS or email) for Direct Marketing unless we have received your consent to do so. In considering whether we may contact you by post for Direct Marketing purposes we will carry out a similar balancing exercise as set out above. If you are a new member we will aim to capture your consent for Direct Marketing and for other purposes at the data collection point (when you join SCAMPPS in Surrey and fill in the membership form). You do not have to give consent – it is your decision. As a default position we will consider consent to remain valid while you are receiving our regular communications and have not objected to doing so. You can give or withdraw consent to Direct Marketing, or change your contact channel preferences, at any time by writing to us at the address above; emailing louise@scampps.org.uk or you can call us on 07596 666 646. Please let us know if you change your contact details or if you believe any information we hold is incorrect. SCAMPPS in Surrey stores your data on a secure cloud-based database hosted by Dropbox, which uses data centres in Germany. In order to comply with GDPR your data must be stored within the European Economic Area (EEA). Your data will not be processed outside of SCAMPPS in Surrey and will not be disclosed to any parties outside of SCAMPPS in Surrey, except to process donations and Gift Aid, e.g. our bank and HMRC. At no time, will your data be passed to a third party for marketing purposes. If the charity is reformed as a limited company charity (“the successor charity”) with similar objects, we will pass your data to the successor charity if you have consented to us doing that. Your personal data will be held on our database during the period of our active relationship. We will not keep your personal data for any longer than is necessary. Once it is no longer required we will take all reasonable steps to destroy it or erase it from our systems. • To withdraw your consent for us to process your data. • To be forgotten – to request that your data be erased and no longer processed. • Subject access requests – a right to request a copy of the data we hold about you. • To object to your data being used by us for the purposes of direct marketing. This data privacy notice was last updated on 1st May 2018.